Richard Tuttle has spent the better part of the past 50 years pushing the boundaries of the contemporary art world. His distinctively minimalist artworks are as intriguing as they are perplexing. Though provoking controversy throughout his long-held career, Tuttle’s mark on the landscape continues to be felt as he introduces new modes of artistic representation into institutions around the world. 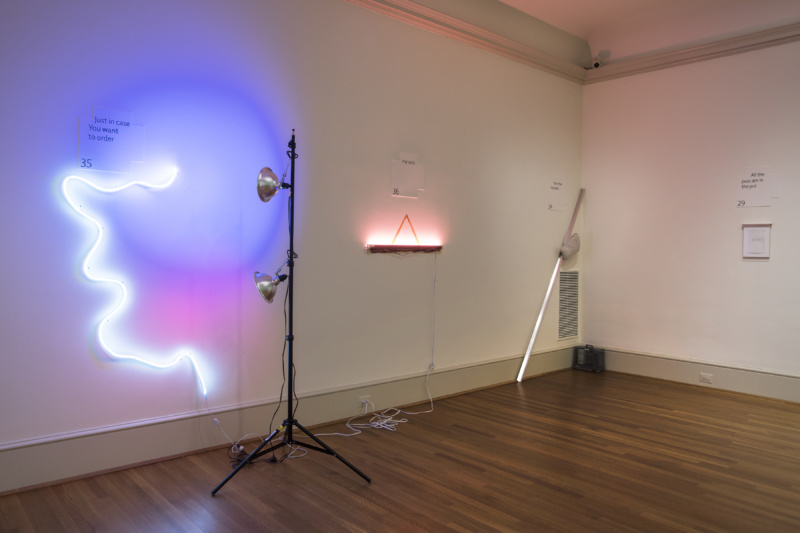 Tuttle’s latest exhibition, “It Seems Like It’s Going To Be,” finds home at The Phillips Collection as part of their Intersections series, where they invite old and new traditions of modern and contemporary art into the same space. The exhibition consists of 41 works which Tuttle based off a 41-verse poem which he also authored. The diverse body of work exists in conversation with works on paper by Matisse, Hepworth, Rodin, and others, that are a part of the Phillips’ permanent collection. Here, Tuttle discusses how he came to this body of work. This exhibition stands as an example of your ability to constantly challenge and innovate your practice. How did the experience of creating these works differ from past exhibitions? When I was asked to prepare an exhibition, I viewed it as a clarion call for the best I could offer. Each morning after waking I wait to hear words I call poetry. Sometimes these words make a poem quickly, sometimes it takes months. These words seem to come from the same place as my visual work, so I took a poem of 41 lines (42 days with the title), called “It Seems Like It’s Going To Be,” and tried to find an artwork in the same place the words came from—of course, somehow thinking of the exhibition spaces at the same time. This was not to prove something, or to illustrate the poem, but to see what would happen—to put visual experience, not in a privileged position, but to see, if possible, what is behind that position and why I am so committed to it. A further complexity is working to this end in wildly different locales—New York, New Mexico, Maine—though this can give the exhibition a fractal-like cohesion and demeanor I would like to see in it. Richard Tuttle Exhibition at the Phillips Collection. How do you view the interconnectedness of different fields of art, such as poetry, music, and your studio practice? Art is a tool for life; every time there is art, we are closer to life. Where did the idea to pair poetry with art originate? In It Seems Like It’s Going To Be, I wanted to make one work for each verse with the ambition to completely and precisely fill the space offered (including the Phillips’s works on paper). Part of this strategy is fighting for seeing my work as a new form of realism rather than abstraction. Part is giving the visitor richer ways to address my work through the unconscious joy of looking. How did you arrive at the works that would included in this exhibition? I remember the day in late May when we met in Washington to work. We went to art storage to look at and select drawings to include in the show, going through the complete Phillips inventory of thousands of works on paper. Drawing is something not to be known in itself, but only through going toward painting or toward line. The Phillips Collection, so outstanding in painting, like myself, would privilege “painting.” We chose 17 works on paper, happy that some treasures would be seen unusually, unexpectedly, surprisingly, even, for the first time. The Phillips Collection’s Intersection series seeks to show work that engages with the museum’s permanent collection and architecture. How did you include these elements in your work on view? We did a walk through of the newly renovated second floor of the House, placing the 41 works, already created. An unbelievable correspondence took place, where each work—of an unusually diverse exhibition—took its place in rooms varying from re-purposed bedrooms to contemporary exhibition spaces. In addition, one had sub-themes in development, works talking with each other across divides. Your work has often been referred to as enigmatic. Do you intentionally create mysterious, sometimes difficult-to-read work or is it merely an after-effect of your creating process? Many wonders, not foreseen, were in the unwritten charter to behold, and I am stupefied to be both its supporter and a fulfiller of its liberal promise through my art, which comes out of nowhere, lands in our world, and makes it no less than our world. That quizzical unlikelihood of all likelihoods circled Duncan Phillips’s thought, mine as well. But the work in space breaks free. This is what I want to celebrate. How does this exhibition beckon viewers to look beyond what they are seeing? I wonder how the visitor will assimilate the lines of the poem with their visual experience. 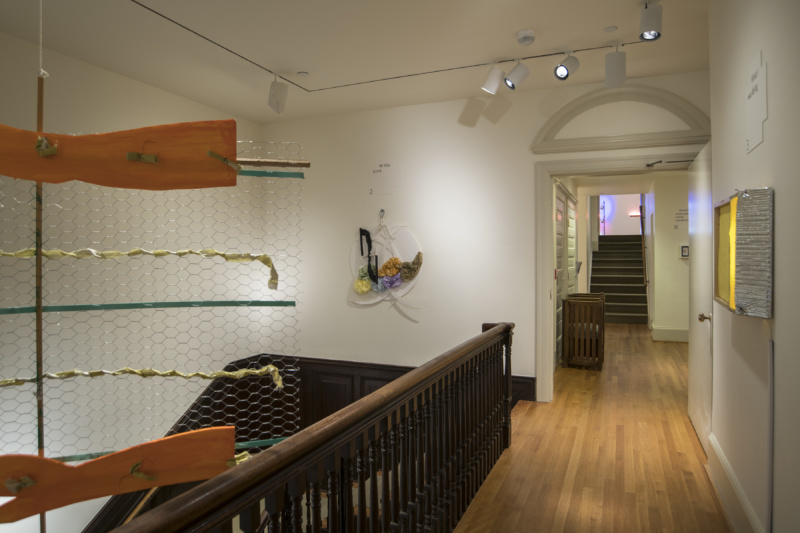 Generally, I feel the poem’s lines should be above the work as wall mounts, but in the House galleries, the ceilings are not always high enough, so side positions are sought. Certain large works are equal to very small works in having one line apiece. This pleases me enormously because language can strike us just as much softly or in gusto form, the flexibility of art and culture rarely achieved.